Although it's our breakfast nook, we have been using it for our dinners. 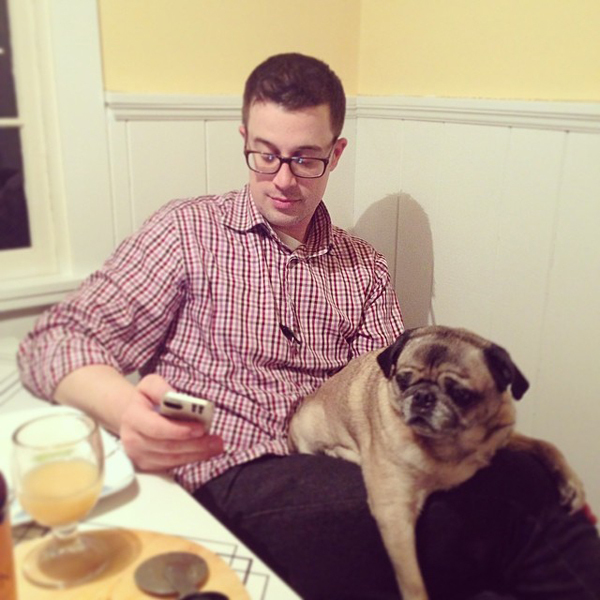 After we eat we hang out with the pugs. Oscar likes to look at pug pictures on Instagram. 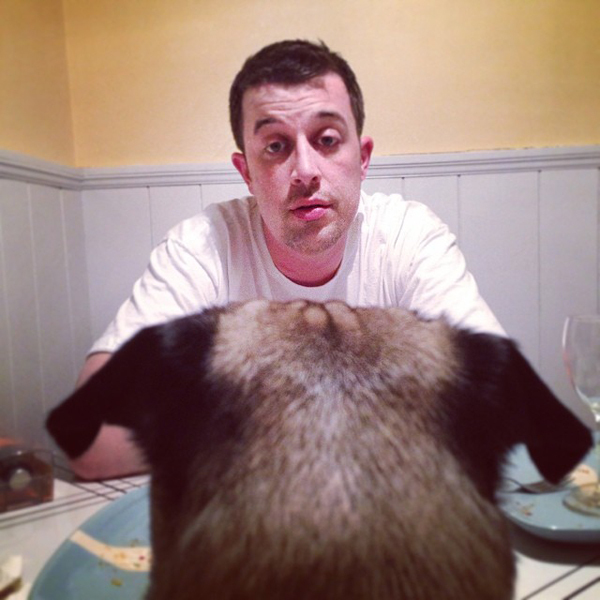 Hugo likes to have a little chat. Anyhoo, for dinner tonight I made one of my go-to recipes. Remember Martha Stewart's Blueprint magazine? 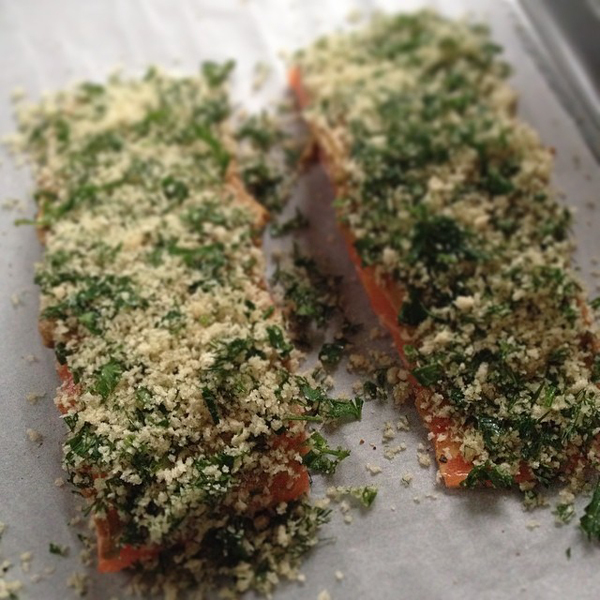 This recipe is from one of those issues... Herb-Crusted Salmon. It think it's the mustard that makes it. That's my favorite salmon recipe too! I miss Blueprint.